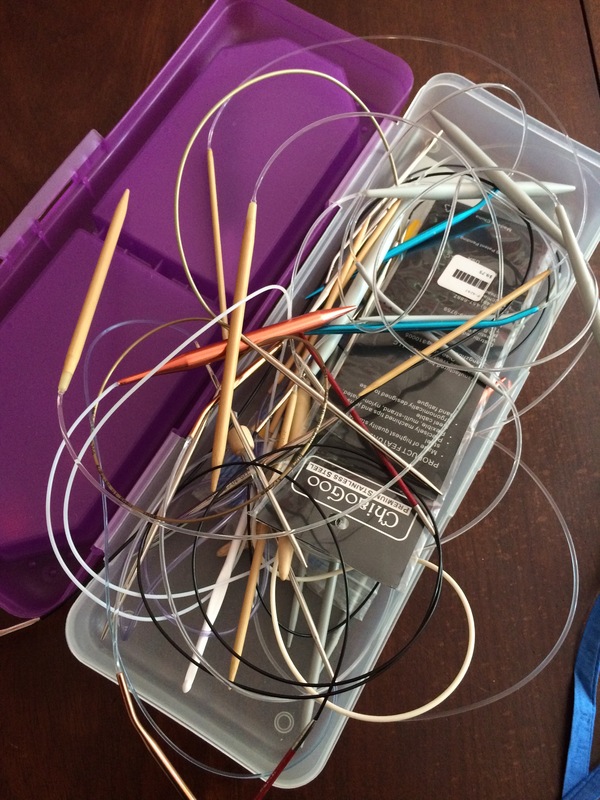 I use circular needles for almost all my knitting. The only exception is double-pointed needles (DPNs) for socks. Circulars are less cumbersome than straight needles. I can’t drop one of them — unless I drop an entire project. (It’s happened.) 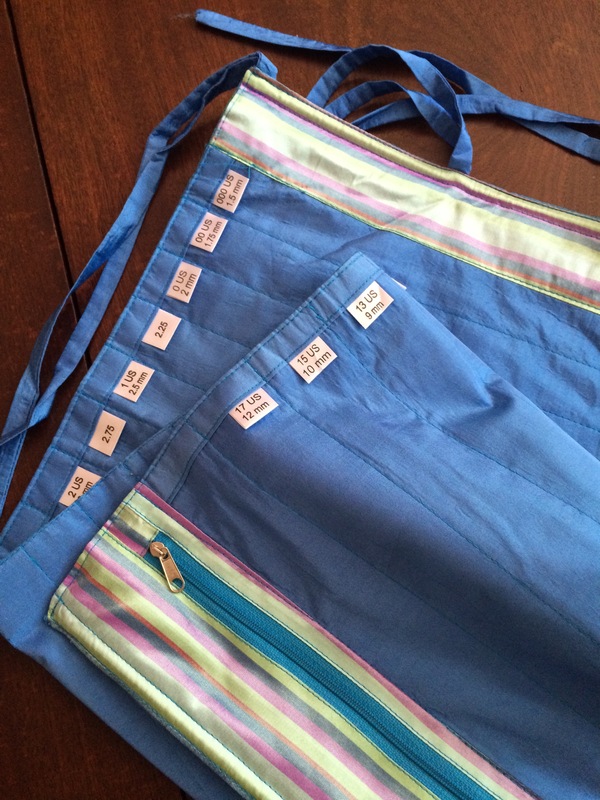 And circulars make projects easier to stuff into a bag. But, as you can see, I’ve yet to find a successful solution for storing the needles themselves. Until yesterday, when my latest knitting toy arrived courtesy of the good folks at Webs. And thanks to the Christmas gift card from my sweet husband. 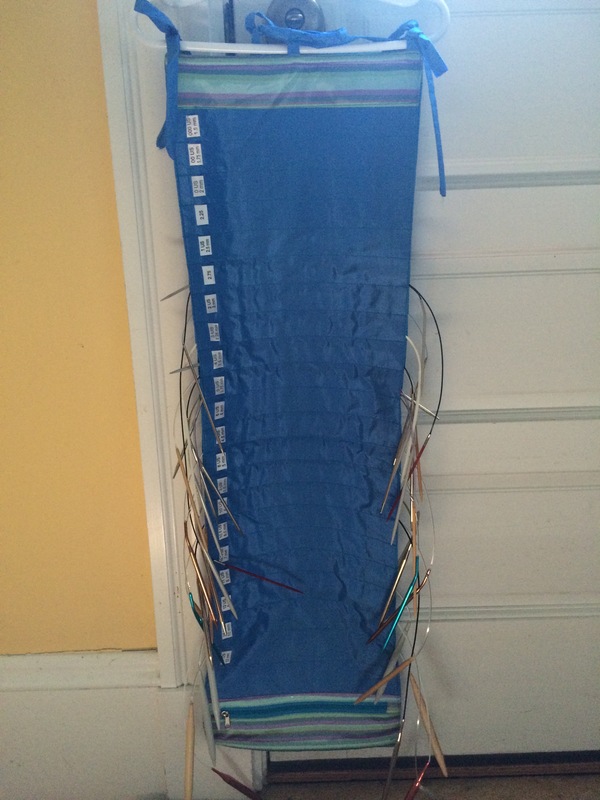 This nifty hanging organizer, made by della Q, allows me to sort needles by size into labelled sleeves. No more guessing at sizes, which I’m horrible at, or poking needle after needle into a gauge before finding the correct size. Or discovering that I’ve got three size 5s but not one set of the needed size 6.